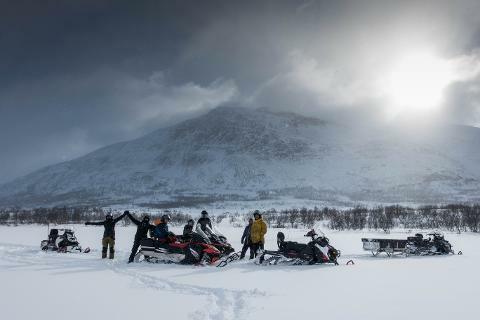 We will be traveling through the magnificent mountain scenery of Abisko with high mountains, frozen lakes and swamps, as well as great views of Torneträsk, Sweden´s second largest lake. With some luck we might get a glimpse of the wildlife in the National Park. 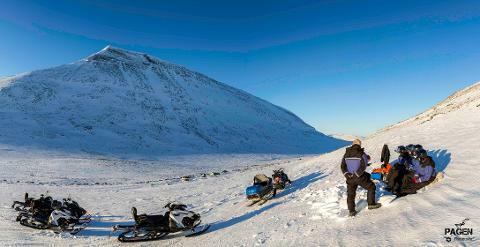 Along the route we will take a break and enjoy a traditional Swedish fika, a hot drink and cookies. We travel in small groups of maximum 8 people to ensure an exclusive experience. There will be time to take photos along the way. 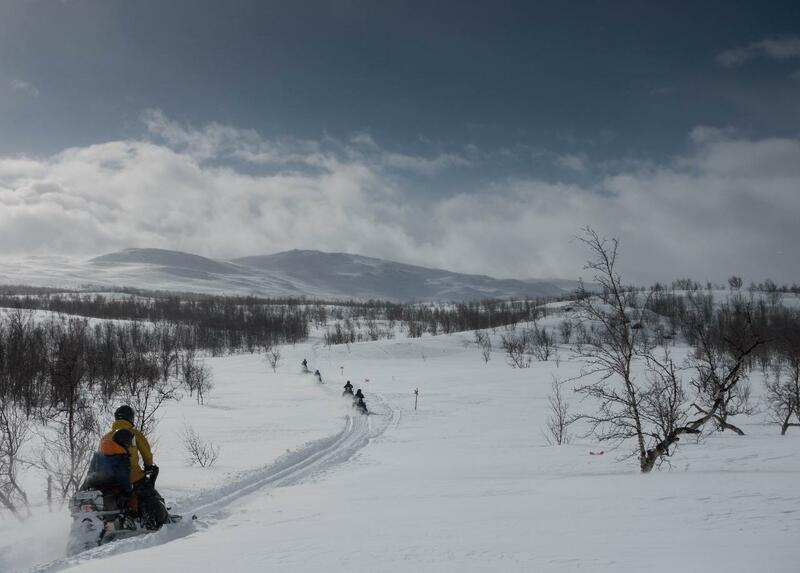 If you choose to share a snowmobile you will have the opportunity to swap driver during the tour. 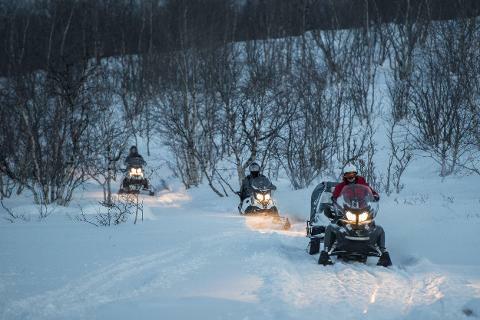 *In order to drive our snowmobiles a regular driver’s license from your home country is required! Valid drivers license are: snowmobile, car, mc, moped or tractor. If you do not have a license you can join this tour as a passenger. snowmobile. Helmets will be provided.